Usually at the end of even a very long day I can commit to 15 minutes of tidying up. I know that if I clear away everything tonight that tomorrow I'll wake up to a tidy house, which will then, in turn, set me on the right foot for the day. If I leave the mess, I know I'll have to wake up to last night's dishes and a disheveled living room. And if I'm having to deal with yesterday's mess, I just feel like I'm playing catch-up the whole day. I reason with myself that 15 minutes isn't too long and sooner than I know it I'll be on my way to doing something I really want to do that evening. The marvelous thing is, you will surprise yourself with how much you can actually accomplish in 15 minutes! Many times I'll feel like I've been cleaning for ages and I'll look at the timer to find I have 8 minutes left. Try it... the next time you unload the dishwasher you'll see it actually takes only 3 minutes (instead of the hour it feels like). I learned this technique from Anthea Turner's Perfect Housewife series and the FlyLady blog. You must try it the next time you are feeling overwhelmed with tidying your home. Pür Minerals sent me their 4n1 Pressed Mineral Powder to review. It's great! It provides full coverage and is packaged in a pretty little compact made of recycled materials— perfect for when you are on the go. For breakfast lately I've been drinking Kimberly Snyder's glowing green smoothie. Kimberly is the author of The Beauty Detox Solution and Beauty Detox Foods. Even though I am not a vegan I really enjoy her books because I appreciate her healthy recipes. And I tell you, this smoothie makes me feel fantastic throughout the day. I can't recommend it enough! 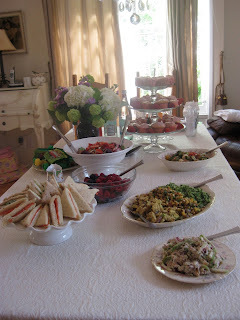 ♥ The Independent Florida Alligator writes about Lessons from Madame Chic in an article called, Eating well: The Chic way. 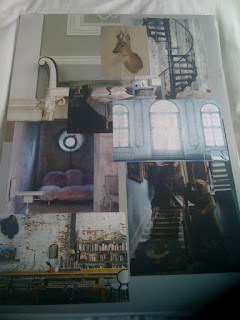 My lovely sister-in-law, Rebecca Leigh, works as an interior stylist in the United Kingdom and is just now branching out her services to New York. Her style is glamorous, traditional and eclectic and her clients have ranged from conservative bankers to flamboyant rock stars. Rebecca believes that interior styling is a luxury that everyone should have. She is also an art buyer and works with some of the most prominent collectors of Warhol and Picassos in the world. 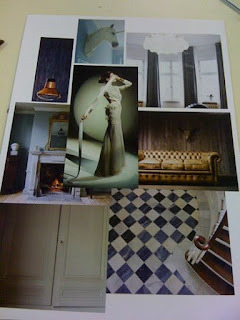 Rebecca was kind enough to answer a few questions on interior styling for the Daily Connoisseur. How do you describe modern British Interior Design? There are many styles to British Interior Design however, the two that come to my mind are Cool Britannia and Shabby Chic. Cool Britannia is a British Interior Design, styled around patriotism and in the 1990s, the phrase ‘shabby chic’ was coined to describe the modern laid back style. ‘Shabby’ refers to older— lived in or second-hand objects that have a distressed look about them, but not overly damaged. ‘Chic’ applies to objects which are old but definitely worth keeping. Can you give us a few inexpensive decorating updates anyone can do to their homes? Bargain Hunting – Try charity shops, flea markets, auctions and eBay. You can find furniture cheaply, sand it and repaint it. Kitchens – take dingy kitchen cabinets and repaint them in fresh colours or buy white flat pack cabinets and make them look expensive by laying granite/marble worktops over them. Many companies offer ‘kitchen makeovers’ where you keep the basic shell but have the doors, worktops and tiling replaced, which can save you thousands. Recycle - Re-use/ Up-cycling- the art of turning the tired objects you might usually throw away into beautiful, useful pieces, like an old cart into a drinks trolley ! Instant impact – Instead of wallpapering an entire room, try it on one wall only as it will immediately transform the space. Resanding and resealing woodern flooring also makes a dramatic difference. Dress up doors with elegant knobs and handles. Paint effects – Tester pots can go a long way, especially if you want to update one piece of furniture or change a new colour. If you change one thing for me it would be paint! Where should we splurge and where should we save? You work as an Interior stylist. How is this different from a traditional interior designer? Interior design is the crux of any living area. Spatial planning and material specification decide how the interior shell of a space will sit. With Interior Styling you add personality and charm. It focuses on items that aren’t fixed, such as furniture and accessories. Ultimately if a space is designed well, it rarely needs as much styling as one that isn’t. That can involve putting back original architecture when restoring ones' period home such as period cornices, ceiling roses, and fireplaces to look as though they have been with the house forever. Putting the soul back into the home! 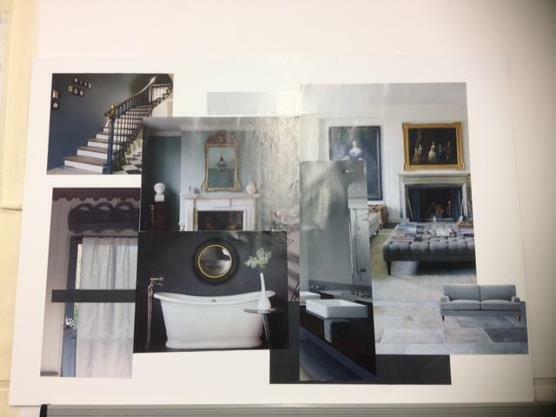 I never work towards a ‘themed look’ I help create a unique and eclectic look for my clients and to give them the home of their dreams. I hope you had a wonderful Mother's Day weekend! Last week was very special for us as we celebrated our youngest daughter's first birthday. I can't believe the year has flown by so quickly. We marked the occasion with delicious food, homemade cupcakes and a puppet show of Goldilocks and the Three Bears. Here is a picture of the buffet table. For flowers I arranged a lilac and hydrangea bouquet. It was fragrant and abundant and perfect for spring. What you can't see in the picture are the pink streamers and balloons hanging from the ceiling. I was in a bit of a rush that day to get everything ready on time and did not think to take a picture! 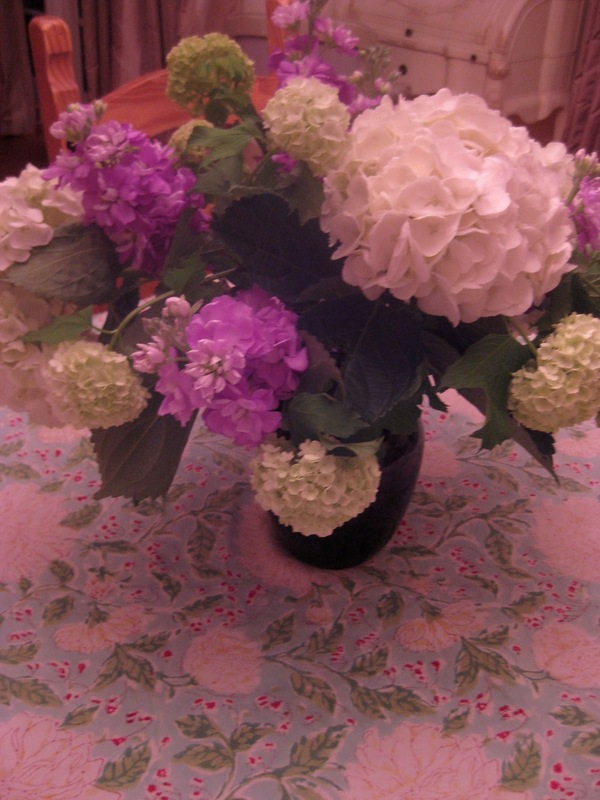 And finally, a photo of the hydrangea bouquet a few days later. I change the water in the vase every day to make the arrangement last as long as possible. As the years go on I'm having more and more fun planning these parties. It was a wonderful gathering and most important, our baby really enjoyed it... which is all that matters! ♥ Check out this great article in Rebellious Magazine called Creating a Mom-drobe Part 1. In the article, Megan Cottrell tries out the ten-item wardrobe for herself. ♥ Lessons from Madame Chic is mentioned on My Life in Focus blog in an article called Paris AND New York. ♥ I posted my ten-item wardrobe for spring video on Huffington Post Style and it has received a great response from the community! In the article I also answer the question: do Parisians actually call it a ten-item wardrobe? In this week's video, Ten-Item Wardrobe Follow Up, I answer questions such as: Do I really wear those clothes everyday? and What do I do with clothes from prior seasons? In this post I also thought it would be fun to share my favorite YouTube channels with you. Some of you might already be familiar with these channels, but for many, I know they will be a new treat. Sara Sabaté is a beauty blogger who does videos in both French and Spanish (sorry, no English!). Her hair and makeup tutorials (her chignon series are my favorite) are so informative and inspiring. You can usually follow the steps even if you don't understand what she is saying. Visit her YouTube channel for more lovely tutorials. Lisa Eldridge is a British makeup artist who has the most amazing YouTube channel for makeup lovers. She has such a lovely, soothing way about her (you'll see what I mean when you watch her videos) and her makeup tips are very achievable for us non-professionals. Check out her makeup tutorials on her YouTube channel. I ran across an article in the Daily Mail this past weekend called 'The Great Global Food Gap'. It showcased pictures from the book, The Hungry Planet, by Peter Menzel and shows portraits of families from all around the world surrounded by what they eat in a week. I was so intrigued by these photos (note the families from poorer countries eat more healthfully with more fruits and vegetables and little to no processed foods). After reading this article, I ordered The Hungry Planet and Material World: A Global Family Portrait, both by Peter Menzel. Learning how other people live and eat has always fascinated me. I am really looking forward to reading both of these books to see if I am inspired to make changes in my own life. I'll keep you updated.